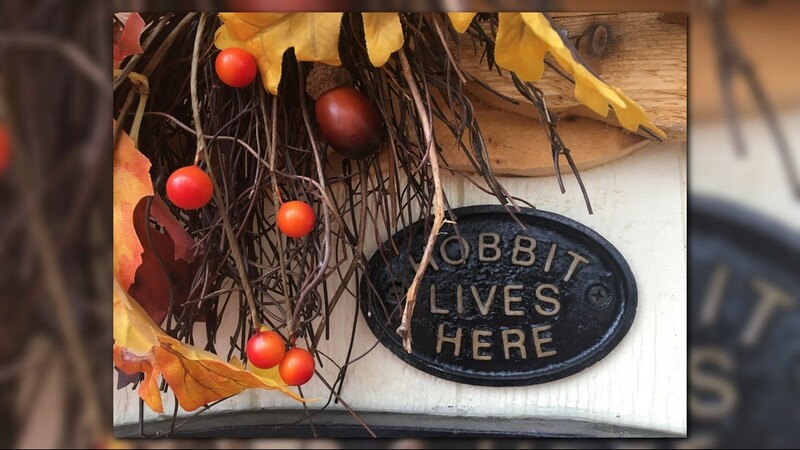 The Hobbit House a fairytale come to life, and a warm and cozy escape for owner Ryan Oelrich. SPOKANE, Wash. — If you are a J.R.R. 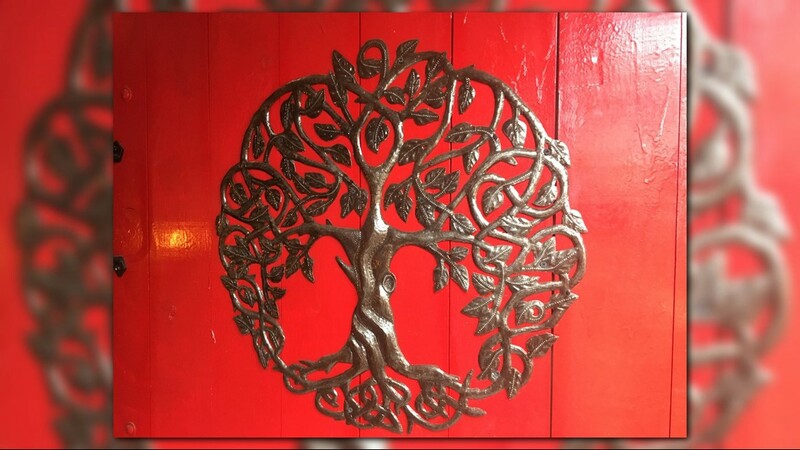 Tolkien fan and have dreamed of stepping foot in the magical world this author created, you can find a close replica in Spokane. On a fall, misty morning, crispy, colorful leaves hug a tiny home in West Spokane. It's a fairytale come to life, and a warm and cozy escape for owner Ryan Oelrich. "Sitting in this chair with the door open a crack, I can see a giant mushroom out of my window and I see these wonderful plants growing outside and so it really just takes me other places," Oelrich said. It is a portal straight to "Middle Earth" right next to his home. "I have a bell that actually is a dragon that reminds me Smaug. 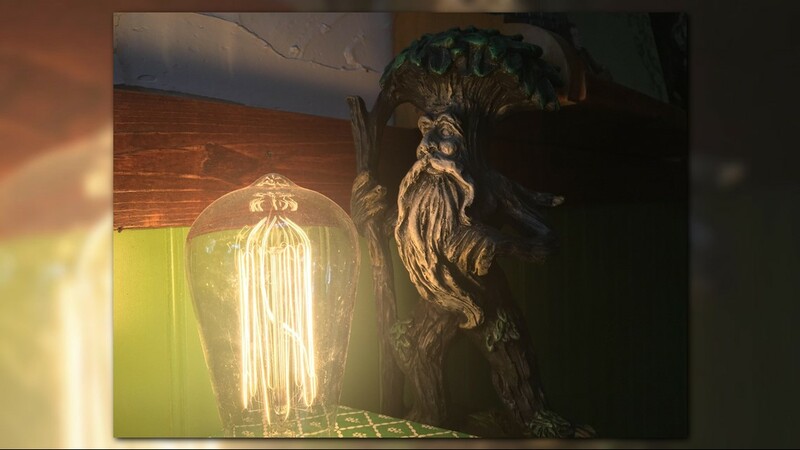 I found a stained-glass window in a vintage shop that has a beautiful eagle on it in the back of the Hobbit House and it reminds me of the giant eagles from the Lord of the Rings, two hand carved wooden mushrooms, all sorts of little details that just bring those amazing stories to life," Oelrich said. If you are a J.R.R. Tolkien fan and have dreamed of stepping foot in the magical world this author created, you can find a close replica in Spokane. 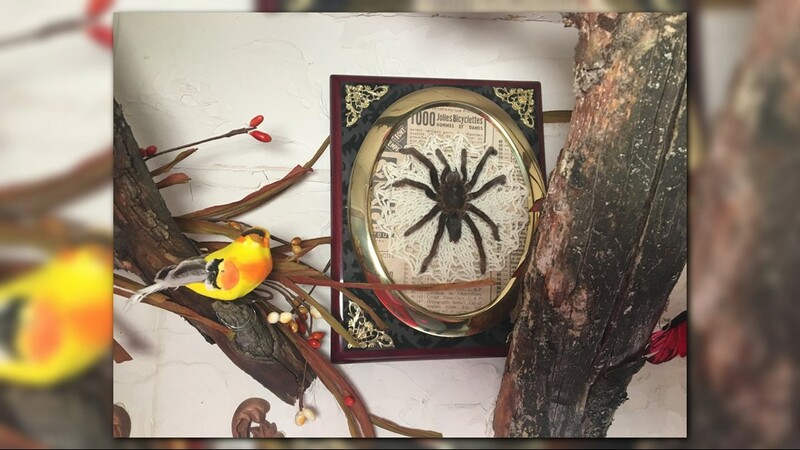 Oelrich has been a fan of author J.R.R Tolkien for years, collecting memorabilia for quite some time. "When my partner and I finally visited Hobbiton in New Zealand in February of this year, that was the final inspiration I needed. What was a dream I guess, become a reality," he said. "I tried to put a lot of thought into all the little details, every clue that the book gave me. I tried to really think about how I could bring that to life," he continued. For Oelrich, the magic started when he was young. "I loved the books as a kid. I went through a tough time as a kid and those books really saved me. They provided a wonderful escape. They provided the inspiration and the hope that I needed," he said. No, Oelrich does not live in his Hobbit House, but he often uses it as an office or reading space. "I just love the space. It's cozy," he said. "I'm also an artist, so it's a place for me to exercise my imagination." His creation has gained a lot of attention from around the Northwest. However, Oelrich said it is less about the spectacle and more about a message that rings true each time he takes a seat inside his tiny escape. "Remember it was a Hobbit so very small, who did big things and saved them all," he said. "Sometimes you're looking at the data and you're looking at the size of the problems that we are facing and it can seem a little hopeless. And so it's a daily reminder when I am working in the space, that history is full of people who were seemingly small, who stood up and made their voices heard and were able to affect change, were able to make a huge difference. So I know I need that message and I hope other people need that message too." You can visit the Hobbit House but he prefers you look from the road since the property surrounding it is his home. His neighborhood is having an event this October which might be the perfect time to check it out. 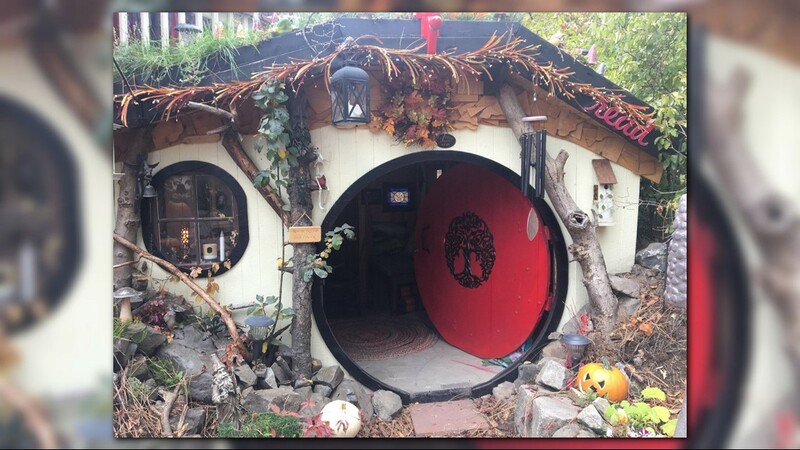 On Saturday Oct. 27, he is hosting a "Hobbit House Halloween Trick-or-Treat Book Drive " event. 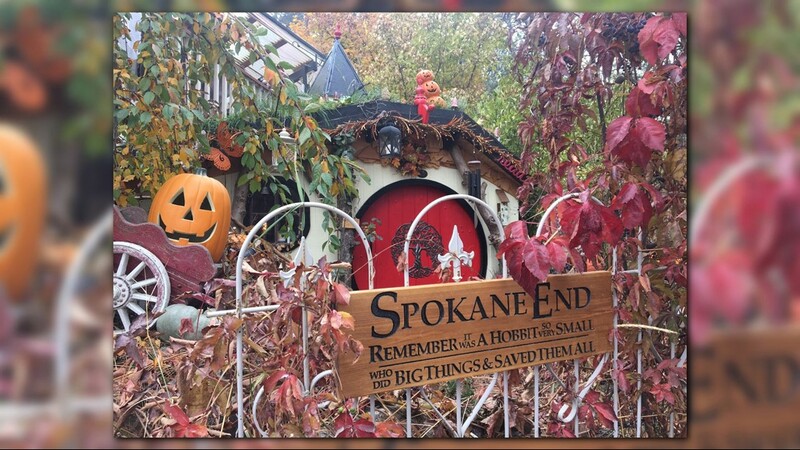 Kids can come and trick-or-treat at more than 10 participating houses, including the Hobbit House, but neighbors are asking that you bring new or gently used books for a book drive. These books will go to kids who love to read in the foster care system.